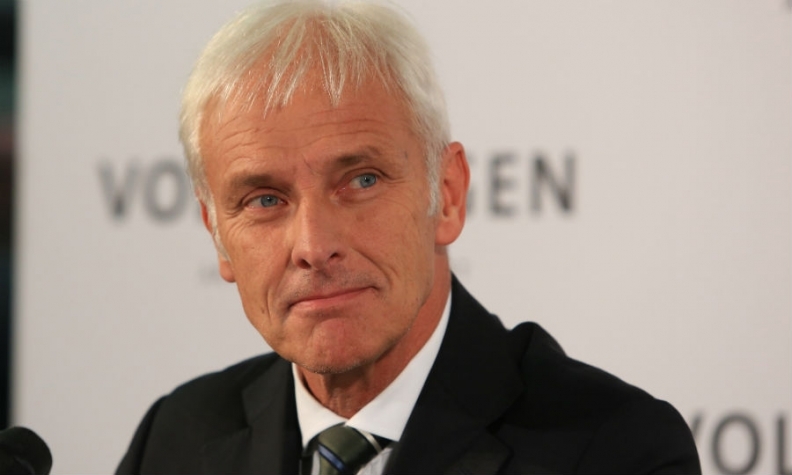 VW CEO Matthias Mueller will meet U.S. politicians. FRANKFURT (Bloomberg) -- Volkswagen Group's highest-ranking executives will visit the U.S. this week and next week for the first time since the emissions cheating scandal broke last year, as the automaker shows few signs of progress in resolving the crisis there. VW brand CEO Herbert Diess, the former BMW executive tasked with restoring the namesake marque's tainted image and weak earnings, will speak at the Consumer Electronics Show in Las Vegas on Wednesday and appear at the Detroit auto show starting Sunday. VW CEO Matthias Mueller is also set to travel to the U.S. next week to meet politicians and possibly other officials, though his schedule hasn't been published. The visits come after the U.S. Justice Department sued Volkswagen on Monday for installing illegal devices meant to defeat emissions tests, laying out claims that could push penalties in theory as high as $48 billion. Also unresolved are talks between the company and the Environmental Protection Agency about how to deal with vehicles sold with defeat devices. "The U.S. is playing a key role as VW faces the biggest financial threat there, and the risks elsewhere declined substantially," said Juergen Pieper, a Frankfurt-based analyst for Bankhaus Metzler. "It's important that VW hit the right tone." The shares fell 4.3 percent to 120.95 euros at 11:09 a.m. in Frankfurt. Volkswagen has lost more than 10 billion euros ($10.8 billion) in market value since Sept. 18, when the EPA first said the company admitted to cheating. The U.S. situation contrasts with the progress Volkswagen has made in Europe in addressing the scandal. The company won regulators' approval last month for low-cost fixes for 8.5 million engines in Europe equipped with emissions-manipulating software, the majority of the 11 million sold worldwide. Repairs are due to start this month. Still, the most important question for the company is how soon it can announce a solution in the U.S., Arndt Ellinghorst, a London-based analyst for Evercore ISI, wrote in a note. Ellinghorst said Volkswagen should mollify both dealers and customers by buying back the affected vehicles. "The more VW spends on fixing its U.S. problems, the lower its legal charges will be at the end," he wrote. Editor's note: An earlier version of this story contained an incorrect damage estimate for the U.S. lawsuit.